RailPictures.Net » Member Profile » John Dziobko, Jr. Interests: Now celebrating his 65th year as an active railroad photo-journalist. 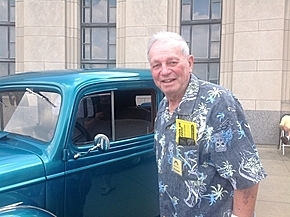 A veteran of many travels all over the globe, an avid fan of Classic Hollywood filmmaking, and a 50+ year member NRHS.